RFID has become the leading technology to improve your effectiveness of any tracking application from assets and inventory to receiving shipments. Empowering your workforce with RFID readers and tagged items they can accomplish more in less time with a higher degree of accuracy. The Honeywell 70 Series RFID is the no-compromise, next generation family of ultra-rugged mobile computers that add passive UHF reading to the already impressive feature set of 70 Series devices. When it comes to accomplishing routine data collection tasks with greater efficiency and accuracy, the 70 Series RFID mobile computers are the answer. These devices combine advanced RFID reading and a no-compromise design with best-in-class ruggedness, battery life, and ergonomics. Intelligently designed into three different form factors yet built on a singular core platform, the 70 Series RFID gives you the benefits of specialized devices with the reduced complexity and cost savings that come from adopting a common platform. With the aid of the 70 Series RFID readers you get the benefits of specialized devices with the reduced complexity and cost savings that come from adopting a common platform. Janam and Buckeye Mountain, a company that develops, deploys and manages mobile technology for the railroad industry, announced today that Janam’s XM2-RFID for Rail mobile computer is a recommended mobile computing hardware for Buckeye Mountain’s Automatic Equipment Identification (AEI) Quick Read application. Buckeye Mountain has been designing, installing and supporting innovative solutions for the railroad industry for more than 15 years. With its focus on providing a customized approach to address customer needs, Buckeye Mountain works closely with Class I railroads to ensure they have a rugged and reliable solution to perform detailed railcar inspection and maintenance functions, as well as asset tracking. 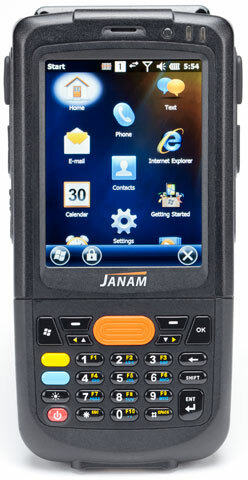 Buckeye Mountain selected Janam’s XM2-RFID for Rail mobile computer because its size, battery life, tag reading performance and computing power provide enormous improvements over what’s available in the market. CipherLab has announced its upgraded multi-operating system 1862 Bluetooth UHF RFID reader designed to easily add UHF RFID reading and writing to Android, iOS and Windows Mobile devices. The 1862 UHF RFID Bluetooth Reader is the perfect cost-effective accessory to any Bluetooth enabled mobile device. With a universal mount, the The 1862 UHF RFID Bluetooth Reader sled can transform any Android, iOS or Windows Mobile devices into a high performance handheld RFID reader. CipherLab recently debuted the new 1862 UHF RFID Bluetooth Reader at RFID Journal LIVE! 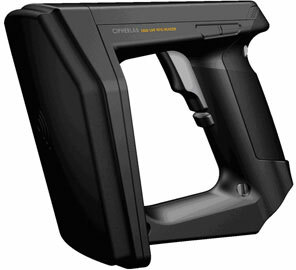 Makes RFID data collections easy and efficient with its powerful RFID reader function. Sets itself apart with its ability to extend its RFID reading and writing capabilities to existing mobile devices through its Bluetooth pairing. Enables versatile data collection with Bluetooth pairing while the 1862 also includes Bluetoot V4.0 dual mode which is backward compatible with current and future smart devices. Conveniently allows users to have no worries of high replacement costs for their existing mobile device investments. For assistance finding the right RFID solution for your business, contact us at Barcodes Inc.